In this video, ArgoGlobal employees describe what it’s like working at the offices of the dynamic, world-renowned Lloyd’s of London — a name synonymous with insurance for more than 300 years. ArgoGlobal offers property, marine, energy, aerospace, specialty and non-U.S. liability coverage through Syndicate 1200 at Lloyd’s of London. 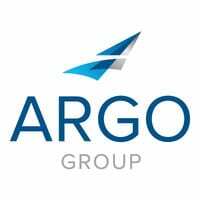 The flexibility and the Lloyd’s pedigree that characterize the Syndicate, together with the resources, infrastructure and international scope of Argo Group, have made ArgoGlobal a leading player in the Lloyd’s market. Brokers can also access Syndicate 1200 through the Argo Managing Agency Ltd. service company offices in France, Dubai, Switzerland and Singapore, and through the Lloyd’s offices in Brazil and China.